What? Mainstream Media is NOT your friend and doesn’t have your best financial interests as their primary focus? What you may have missed during the last few months, since the mainstream media seems to be fairly negative on: cryptocurrency, crypto investment, coin exchange security, regulations, and about the amount of funds the crypto-ecosphere can generate with ICOs (30 million in 30 seconds for the Basic Attention Token/Brave Browser or 4 billion USD in the case of EOS over the past year). It is somewhat suspicious that most of the quoted news sources seem to involve members of the “old guard”, which just happen to be coincidently part of or heavily invested in the very institutions and business sectors that could potentially be disrupted the most by decentralized blockchain technology. The list includes for example: the legacy financial investment world, famous investing experts in monopolies/oligopolies, and the purveyors of privately owned unregulated centralized banks controlling/manipulating national economics. 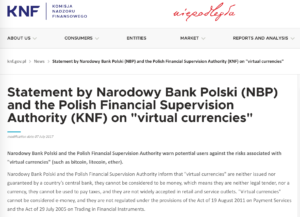 It has come out that several months ago the Polish Central bank (Narodowy Bank Polski) and the Polish Financial Supervision Authority KNF spent taxpayers’ money to launch a anti-crypto propaganda campaign on major social media networks and paid some of the top Polish youtubers to slander crypto. 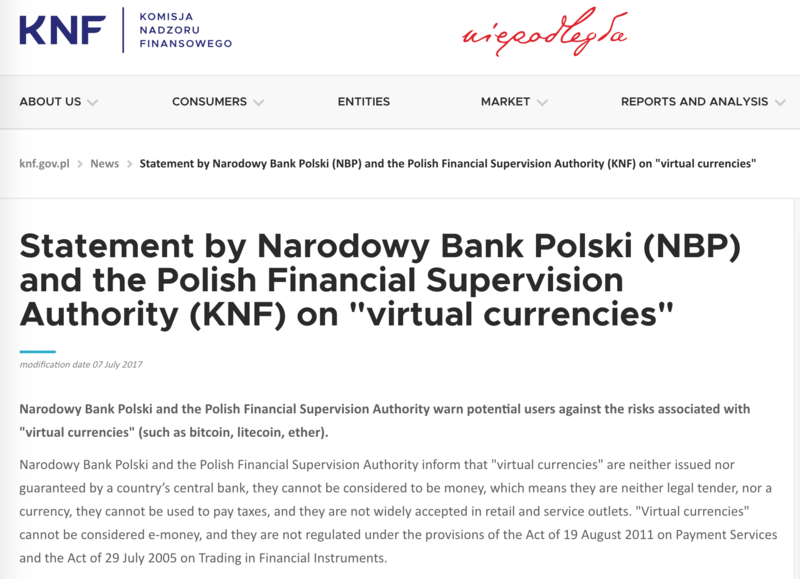 Funny thing is what traditional financial institutions and Wall Street have been SAYing publicly is indeed very negative such as bitcoin is a fraud and a tool for criminals—but what those institutions are DOING relative to cryptocurrency is something completely different. The New York Stock Exchange (NYSE) is considering opening up cryptocurrency trading. CBOE files for a Bitcoin ETF. The Rockefeller’s family venture capital firm as well as the George Soros investment team which directs the fortunes of billionaires have both made it known that they are moving into Cryptocurrency investing. Susquehanna International Group according to NYtimes.com “Over the last two years, the privately owned company has built up a trading desk of around a dozen people that buys and sells millions of dollars’ worth of Bitcoin and other virtual or cryptocurrencies in private deals.” Susquehanna also has built its own systems for storing the cryptocurrencies and changed their broker dealer license so they could trade cryptocurrencies labeled as securities. Coinbase has launched a Cryptocurrency Index Fund and also a Crypto-custody company for wealthy and institutional investors. Boston based Wellington Management (a $1 trillion dollar money manager) recently upgraded its systems to trade bitcoin futures and has teams looking into how it could include “cryptoassets” into portfolios. Goldman Sachs recently invested in a cryptocurrency exchange (Poloniex) via Circle and announced plans to add crypto futures to their investment offerings. State Street (financial services company) after recently failing a USA central bank stress test is now considering acting as a custodian for Bitcoin. 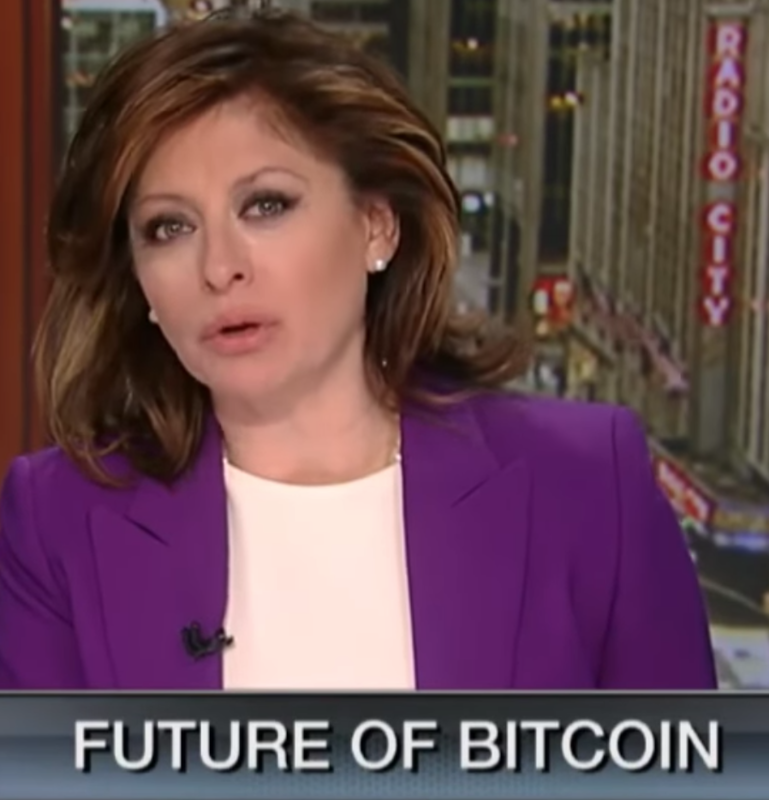 Fidelity US asset manager (manages 2.4 trillion) spokeswoman wrote in an email to Barron’s that “It’s no secret that we are actively exploring cryptocurrencies, including Bitcoin and other digital assets in our Blockchain Incubator…” Even though not overly reported–it is fairly obvious even to the most casual observer that some companies like Fidelity might as well come clean about their crypto plans when they openly advertise for new cryptocurrency related jobs. 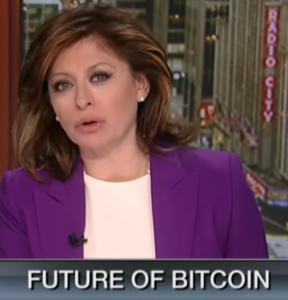 Mainstream media sounds like a vinyl record skipping when they continuously report about basic technical blockchain technology failures such as cryptocurrency/blockchain not currently being able to scale up to needed transactions per second (TPS), particularly in the case of Bitcoin and Ethereum to effectively compete with current internet businesses such as: creditcards, facebook, and twitter etc. Evidently mainstream media is just ignorant that the scalable transactions per second situation has changed after the EOS blockchain launch, which now comfortably accomplishes (free to use for the enduser) a record breaking number of transactions, while not even using half of 1 percent of the EOS network capacity. Despite all the FUD (Fear, Uncertainty and Doubt), being spread by major news agencies about cryptocurrency and blockchain technology it turns out what is actually happening in the sector is quite positive and fairly bullish. So in this case the actions of the storytellers are telling a story probably closer to the truth than the narrative being broadcast by mainstream media today.